The Wikimedia Foundation provides the infrastructure for the twenty-first-century phenomenon Wikipedia, and its mission is almost inconceivably radical: it means to empower and engage people around the world to collect and develop educational content on a voluntary basis, and to globally distribute that free of charge. The distribution aspect of that charge, by the way, is anything but passive posting of material. Anasuya Sengupta says that the work is underwritten by a “passion economy” that flows from the community of Wikipedia’s participants. 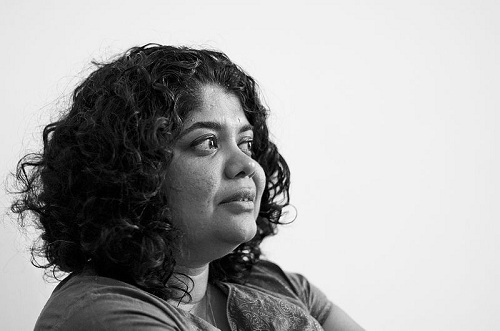 Sengupta is Wikimedia’s new senior director of grantmaking, and she comes to the organization with a rich background in activism, primarily in the global south. Her work has addressed violence against women and children and religious and cultural fundamentalism, among other things. She has also participated in movement efforts to build women’s leadership on a global level. She eventually made her way to the United States and to Global Fund for Women—and that, she says, was her first real taste of international philanthropy and human rights grantmaking. So why is she now at the Wikimedia Foundation? “I think it’s important that information resources become much more diversely accumulated and distributed,” says Sengupta. “At the same time, I would like to see non-English content grow, and I’d like to see diversity in that content grow. So when people talk about access, I don’t think of it as a unidirectional thing. One of the most amazing things we do at the Wikimedia Foundation is support a program called Wikipedia Zero, which aims to get Wikipedia freely available on mobile phones in places where it’s hard to access the Internet—across Asia, across Africa. It’s a fascinating and wonderful thing to do. But, for me, access is not just about giving to communities in Asia and Africa and Latin America—it’s about getting knowledge from communities in Asia and Africa and Latin America. Sengupta sees herself as living in something of a feminist tension or contradiction, because on the one hand she is building a community with explicitly inclusionary intentions but on the other she struggles with the fact that “if we look at female-related content on Wikipedia, we know that just one in ten on average of contributors to Wikipedia are self-identified females, which means we are truly losing out on an immense part of human knowledge. So, I live both those pieces in myself as a feminist, as an activist, as a grantmaker—and that offers both extraordinary challenge and extraordinary opportunity. I believe the movement appreciates the fact that I come in with these politics, and that offers me the opportunity to use them in a way that amplifies diverse voices, that amplifies pluralism, because that has been so much a core of the work I do. There is still such a long way to go, but this leg of the journey is fascinating.